Granulated white sugar comes in many textures and is used for different functions. Some sugars are used primarily for industrial purposes. Others are found in the many cakes, cookies and other sweetened foods we consume on a daily basis. Caster sugar is finely granulated sugar, usually about half the grain size of ordinary granulated sugar. Powdered sugar is very fine sugar and is usually mixed with cornstarch to prevent caking and to ensure smooth flowing. 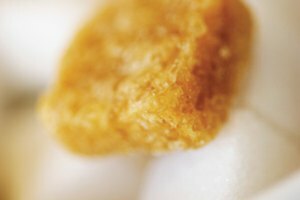 Caster sugar is half as coarse as regular granulated sugar and is sometimes sold as "superfine sugar." 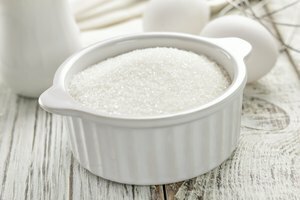 It was referred to as caster sugar in the United Kingdom because the small grains were fine enough to be sifted through a "caster" or sprinkler. In the United Kingdom, it is spelled "castor" and is often even finer than the American version. In British Columbia, it is referred to as "berry sugar." 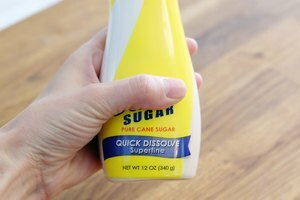 All types of caster sugar dissolve more quickly than ordinary granulated sugar and they are therefore used in creamier, smoother confections and desserts. Meringues do particularly well with caster sugar. Caster sugar is often used by bartenders to sweeten up mixed drinks, as it doesn't clump into crystals or form a thick syrup. Like ordinary table sugar, caster sugar can be obtained in both refined and unrefined forms. The unrefined version is produced by squeezing the sugar cane juice from its stalks. It is up to 50 percent less processed and contains more molasses than refined sugar. This accounts for the creamy color which darkens during the baking process. Unrefined sugar also has more nutrients and minerals present. Powdered sugar has different names in different countries. In the United Kingdom, it is referred to as "icing sugar" and in France, "sucre glace." 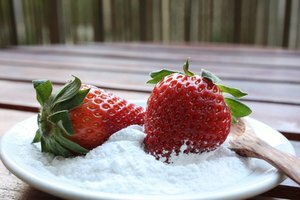 Powdered sugar is granulated sugar which has been ground so fine that it resembles powder rather than granules. It is then sifted to make it even finer and to avoid caking or clumping, and about 3 percent corn starch is added to the powder. Powdered sugar is also called confectioner's sugar. There are three degrees of fineness. Most of the icing sugar, or powdered sugar, sold in stores today are the finest of the three. Icing sugar is used in most icings, whipped creams and other sweets and confections. All decorations and frostings are made with icing sugar to ensure a smooth, creamy taste. Icing sugar is often simply sifted on cakes and other baked goods to create a light decoration or a hint of sweetness. It is also used in homemade salad dressings or sauces where just some sweetness is required. Industrial icing sugar is not as fine as ordinary powdered sugar and is used primarily for its quick dissolving attributes. 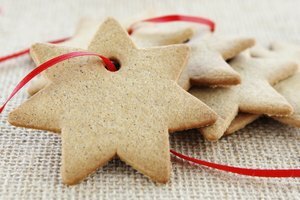 Experience Project: What's the Difference With Icing Sugar and Castor Sugar? Cina Coren is a seasoned project manager with experience in consulting, marketing, research, editing and public relations. She has also written and edited for several websites. Coren holds a Master of Arts in mass communication, as well as a Bachelor of Arts in economics and speech.